YellowBulbs is a platform that aggregates creative minds and brand specialists together to provide a marketing solution for startups, SMEs and established businesses at a fraction of the costs traditionally associated with marketing activities. “Availability, Priorities, Quality and Lack of experience” The words commonly told by the ones who possess experience working with a freelancer. In recent times, the swift expansion of a freelance market has experienced a significant increase in the number of startups providing opportunities to thousands of freelancers working after school, college or even employees working after their full time jobs. But most of these freelancers face certain challenges such as a student with negligible experience or examinations, causing delay or even working professionals with full time jobs with overloaded work are unable to complete project causing delay, quality issues and so on. The result? Something which you can barely say satisfied even after wasting countless hours and endless revision. While the concept of hiring a freelancer is probably the most cost-efficient way to get your work done, the downside of this may actually at times make SME (small or medium enterprise) build a team instead of spending and hiring a freelancer. Though the freelance based market remains to be huge and important part of our eco-system, the voids it consists today can’t be neglected or ignored. In order to fill up these voids, YellowBulbs have emerged. Founded more than a year back, YellowBulbs is a platform that aggregates creative minds and brand specialists together to provide a marketing solution for startups, SMEs and established businesses at a fraction of the costs traditionally associated with marketing activities. Additionally, the cost of working with big agencies is almost double that of the boutique agencies while the quality of work almost remains the same. In order to get quality work done from the rather inexperienced freelancer community one needs to have a good understanding of the marketing and communication process. It's too much to expect from an SME owner or a Tech Co founder. The agencies however are much better placed along with their experienced teams to understand the small business needs. The biggest benefit YellowBulbs provides is that they can help look through their wants and discover what they actually need. YellowBulbs started with makemytrip.com as their first client now claims to have more than 450+ SMEs businesses signed up on the platform. They also have more than 2500+ agencies aggregated onto the platform with more that 500+ now reviewed by them. 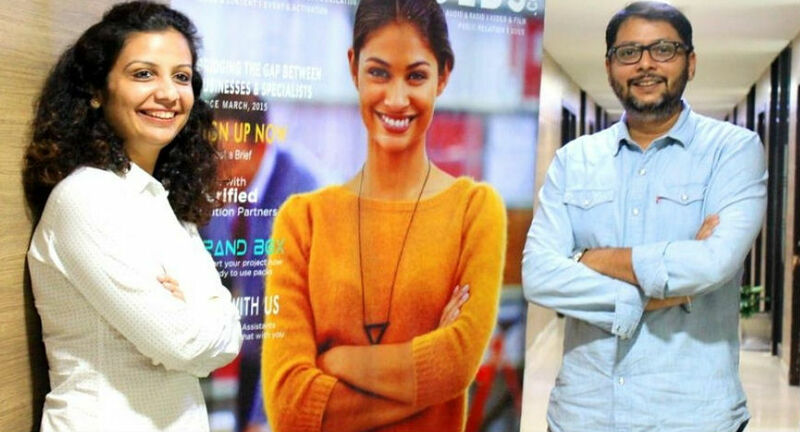 “We are glad that most of our customers (businesses) are using our platform more than once and this is mainly because they believe that we actually add value to their brand.” says Vivek Modi, Co-Founder of Yellow Bulbs. The company currently aggregates and provides services in the field of Digital Marketing, Website & Apps, Content, Design & Communication. “We aspire to be a global marketplace that provide the quality and affordable marketing services and for that we need to constantly evolve. For example, we started with an offline model in our initial days and as we started growing, we realised the need for us to create an online platform and now as we continue to grow even further, we believe that we need to bring in machine intelligence & AI onto our platform & work as already started in that direction” added Vivek Modi when asked about the future of YellowBulbs. Do you know of any other startups trying to fill in the voids of FreeLancer Market or a better alternative? Do let us know in the comment section below.